wdnicolson.com - An NRL Blog: Sherlock Holmes Review... Adventure is back! Adventure is back and this time the dynamic duo aren't sporting tights. Now it could have been where I saw the Sherlock Holmes that has me prepared to call it possibly the best movie series to come out since The Lord of the Rings Trilogy, but if the first installment is any indication - we're on a winner here. 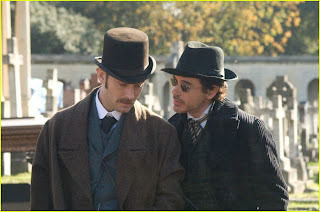 Yes there has been just one movie, but clearly series will have a sequel and possibly more if the writers can keep Robert Downey Jr and Jude Law's interactions on par with their efforts as Sherlock Holmes and Dr. Watson in this film. Where I saw the movie no doubt impacts my point of view, as sitting in a small antiquated cinema on the north coast for a 9pm session - I was part of something I've very rarely experienced in the cinema. The ENTIRE audience enjoying the movie as one. 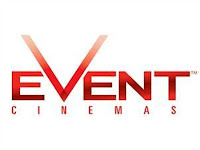 This is something that the bigger yet sterile cinemas have taken out of the movie going experience... but sadly the quality of films being released has contributed to the insular nature that people view movies with. Enter Sherlock Holmes and the performances of Downey Jr & Law and you've got yourself an adventure that takes the audience along for the ride. The audience reacted almost as one to the one liners (that were actually funny) and the action was not so beyond the realms of possibility that the audience felt disconnected from what was on the screen. The companionship Holmes and Watson strike up doesn't seem forced or far fetched in how advanced it is and instead it makes you wonder why this isn't aimed for more often in movies. There's only so many times you can cast the leading man alongside the funny best friend who doesn't get nearly enough screen time to make up for how vanilla the leading man is. Before I saw the film, I had heard some talk that Holmes was too 'kung-fu' for his own good but that talk was wide of the mark. 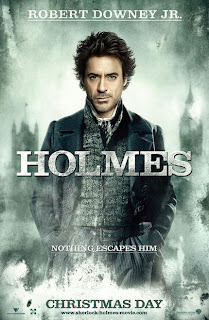 Downey Jr makes Holmes a physical presence in one scene in particular but at the same time his portrayal humanises the master sleuth by making him fallible in other areas. Sure he doesn't miss a detail when on the case (he's Holmes) but his living quarters are a mess and his weakness around Rachel McAdams (as Irene Adler) is delicious. Law as Watson is the big surprise for mine. He's not quite in the same pretty boy category as Matthew 'Have I Ever Kept My Shirt On For A Whole Movie?' McConaughey - but I've never been much of a fan. Yet he understates his Watson well, channeling perhaps the relationship Wilson has with House on the successful Fox TV Series. Both are leant on heavily by their best friend yet despite a desire to break free, life is just too interesting with the companionship offered. Our main villain - Mark Strong as Lord Blackwood - is sufficiently evil with a touch of arrogance that has you wanting him defeated, rather than sticking around which makes him an expendable for Holmes to conquer. There'll be no spoilers for the plot of the first film (well apart from the last paragraph -as if the bad guy doesn't get defeated!) but as stated further above - there will be at least one more in the series centering on a master villain who we got a small taste of in this film. I have an issue not so much how they worked the character into this film but I fear we may get shortchanged in the sequel from any resolution to this threat - with the plan being to have the master villain taken down in the third installment. If this is what happens, then the goodwill Guy Ritchie (if he directs the next movie) has built up with this first installment - could be lost if we are expected to wait until the third film for a resolution to Sherlock's nemesis. But that's just speculation on my part, I am not an avid reader of the Sherlock Holmes books but if they can produce quality like this every second year - I'll be lining up at the box office for this version of Sherlock Holmes every time. Side note... Thanks to a gross oversight on my part, a Christmas gift from 2008 stayed in the lower drawer of my desk until mid December 2009... it was a movie gift certificate entitling myself to a free movie sometime in 2009. Well the fates conspired against me when I finally found the certificate and with Christmas just days away and the fact I would be heading away from Boxing Day to early in the New Year - getting to use this certificate was basically impossible. Enter a friendly chat... with a friend, who told me that she had managed to get a one month extension on her voucher one time and that perhaps if I make contact with the cinema in question (Event Cinemas - formerly Greater Union) then maybe I'd get a chance to use the certificate early in 2010. Well the reason I'm telling you all this is because yesterday - some two weeks after leaving my sop story on their doorstep - Event Cinemas granted my request and extended my certificate to January 20, 2010. As a result I will go see Sherlock Holmes perhaps a second time... or go see this Avatar dribble everyone is going on about. Because if what they say is true... I get to keep the glasses.